Rebel Recap: Laura + James (Brooklyn, NY) — Modern Rebel & Co.
Here’s a modern joke for you, Rebels: Two finance experts walk into a meeting to discuss their companies’ new merger. The punchline? They fall in love and take over the world (well, just that first part… for now). 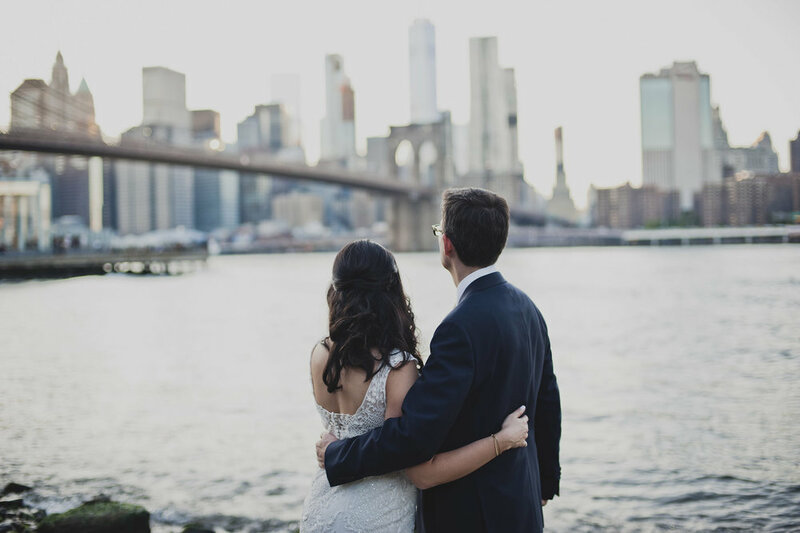 Meet Laura + James, a Brooklyn couple who had a serious vision for their love-party from the moment we met them: family, flowers, and food. Despite being in the thick of the city, the day came alive with greenery adorning every detail, from the invitations to the photobooth backdrop to the thriving plant wall draping down behind their seats at dinner. 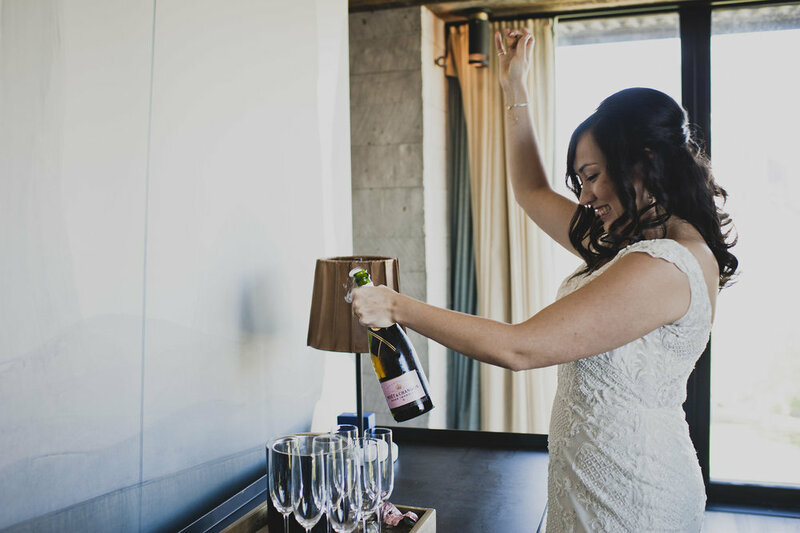 And with two serious foodies getting hitched, we can’t even begin to tell you how good everything tasted at this intimate restaurant reception. So do yourself a favor - scroll down and see for yourself how bad our mouths were watering! But the best part of it all? All throughout the night, there were so many moments that made us smile, laugh, and even shed a tear or two (what can we say, there’s a reason we do this for a living!). 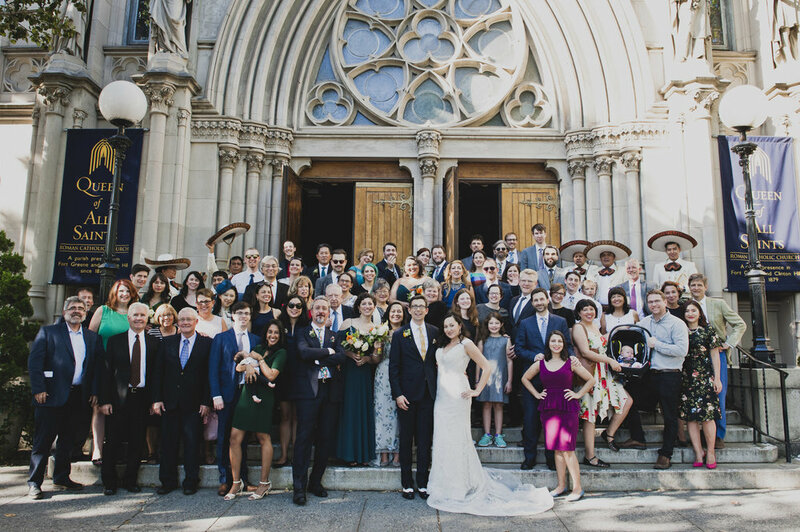 But our hearts definitely skipped a beat after the ceremony when Laura and James burst through the church doors and were greeted by the mariachi band playing in full swing and all of their family and friends cheering in celebration of their love.